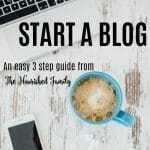 Getting started on a blog can be overwhelming. We created Resources for Food Bloggers to take the guesswork out & allow you to get your own blog off the ground quickly! This page will be used to share the products & services that we personally use for The Nourished Family blog & are comfortable recommending to others. SiteGround: This is our web host & so far we are loving them! Many new bloggers choose Bluehost, however, from personal experience we prefer SiteGround. Our website speed was faster when we switched to SiteGroud, the prices are very reasonable, & their customer service is excellent. I have utilized both their online chat (response in usually 1 minute or less) and technical help tickets (response the same day) and found this company to be helpful & reliable. As our blog grows to >50,000 page views per month we will look at switching to Orange Geek, WP Synthesis, or WP Engine. Nevertheless, SiteGround is a great company to start with! For a getting-started with SiteGround tutorial, check out our Starting Your Food Blog guide. NameCheap: We purchased thenourishedfamily.com domain from namecheap.com. A couple of tips: 1) Google likes to see a domain registered for more than one year (small SEO boost). 2) Make sure to take advantage of NameCheap’s WhoIsGuard Protection so that your name & address are kept confidential. 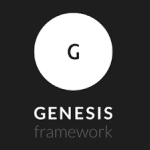 Genesis Framework: The Genesis Framework from StudioPress is what we are currently running on The Nourished Family. Many of the most popular bloggers are using this platform because it is able to work in the background (framework) and allow a “child theme” (design) to overlay onto of it. This is really important because you can update the Genesis Framework without losing any of the customizations you have made for your design (aka child theme). With Genesis, you’re going to want to purchase the Framework ($59.95 last we checked) along with child theme (prices vary). The Foodie Pro child theme can be purchased through StudioPress & is very popular among food bloggers. BlogVault: Every website needs a reliable back-up service. We choose BlogVault because they have good customer service, no downtime site migrations, added security features, & came highly recommended. They are also very reasonably priced! Our first few months we used the free version of UpDraft Plus & were happy with it; if you are just getting started with a tight budget we would recommend starting with UpDraft. Pretty Darn Cute: This is the company that we purchased our child theme from. 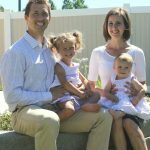 The specific theme that The Nourished Family has is called “Pretty Creative”. 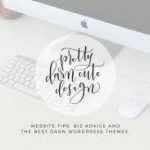 I (Rashele) did all the theme set up & customizations for our blog. Being that my day job is a wife/mother/registered nurse it was amazing how easy Pretty Darn Cute’s set-up tutorials were to follow. And their tech support is nothing short of AMAZING. We’ve been very happy with this theme and will keep it until someday we have a theme custom designed just for The Nourished Family! Food Blogger Pro: We are members of an amazing resource that was created by Lindsay & Bjork over at Pinch of Yum. This resource & the community forums have been incredibly valuable to helping us get our blog off the ground quickly & efficiently. Being that The Nourished Family is more than a hobby there was no question in our minds that these 300+ videos that Food Blogger Pro offers were going to be super helpful. This course has been more valuable to us more than words can describe! There is often a waiting list but just sign up & Bjork will let you know when the next class is opening up (*hint – I heard a rumor one will be starting up in November 2017!). Sprinting the Blogging Marathon: This ebook was recommended to me by my cousin Sandra, who is the very successful blogger/owner/photographer of A Dash of Sanity. I literally purchased it the day she recommended it to me & had it read within a week. The book moves quickly through detailed information of how to jumpstart your blog; I was able to learn about many essentials early on (e.g. image compression, alt attributes, title structure) so that I didn’t have to redo a bunch of work later. 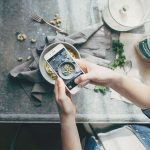 Tasty Food Photography: The first ebook I purchased after starting The Nourished Family; it is packed full of useful photography tips. The book is formatted in a step by step fashion, is visually appealing, & well organized. It has been easy to go back and reference material in the ebook as I practice shooting my photos. Since I absolutely love Lindsay’s food photography style over at Pinch of Yum it was a no brainer to read her book! Adobe Photoshop: During our first few months of blogging we were so intimidated by editing in Photoshop. But with Lindsay’s step-by-step guidance in Tasty Food Photography we found that editing in Photoshop was not only easy but fun & highly effective. Our photo quality improved dramatically overnight by using Lindsay’s tips with this software. Right now we are using their cheapest monthly subscription which offers both Photoshop & Lightroom (although we primarily use Photoshop). Pic Monkey: This is the software we use to make all of our long pins & collages for Pinterest. It used to be free but now it is a paid service (very reasonably priced). They have a great selection of collage templates, fonts, & it is incredibly user friendly. Tip: we use the Facebook templates & edit the dimensions to 725 x 2000 px for all the long pins on The Nourished Family Pinterest account. TailWind: A big part of blogging is driving traffic to your new blog through social media. This can be very time consuming. 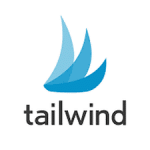 We use TailWind to pre-schedule all our posts for Pinterest & Instagram. Using TailWind has not only saved me time but helped us grow our traffic & followers at a much faster rate because of the ability to bulk schedule. WP Recipe Maker: there is a free & premium version of this plugin. The Nourished Family uses the premium version which enables us to add nutrition labels, have custom links within the recipe itself, & create beautiful recipe index grids. We love that the creator of WP Recipe Maker ensures it is compliant with Google’s latest standards regarding SEO. WP Tasty: this is a premium recipe plugin that we didn’t know about when we first started blogging. It isn’t a plugin we have personally used but we know several bloggers who do & they love it! We consider it a high quality recipe plugin option & wanted to include this option for you. Social Warfare: give your readers a way to share the content you create & keep track of social shares. Yoast SEO: we use the free version of this plugin & find it extremely helpful to help us stay on track with search engine optimization as we write our posts & recipes. WPS Hide Login: with this free plugin you can hide your admin login page which greatly reduces the amount of hacking attempts per day. This page will continue to evolve as we learn & grow. Hope that you found this Resources for Food Bloggers information helpful! Be sure to check out how to Start A Food Blog for a step-by-step guide that will help you get started today. Let us know what questions you have by dropping a comment below.